At last, the last of our ewes has given birth to a single lamb. It may be a single lamb but it was rather large and to quote a message received this morning “an enormous lamb, I think it’s a goat!”. The lamb weighed in at 8kg!! 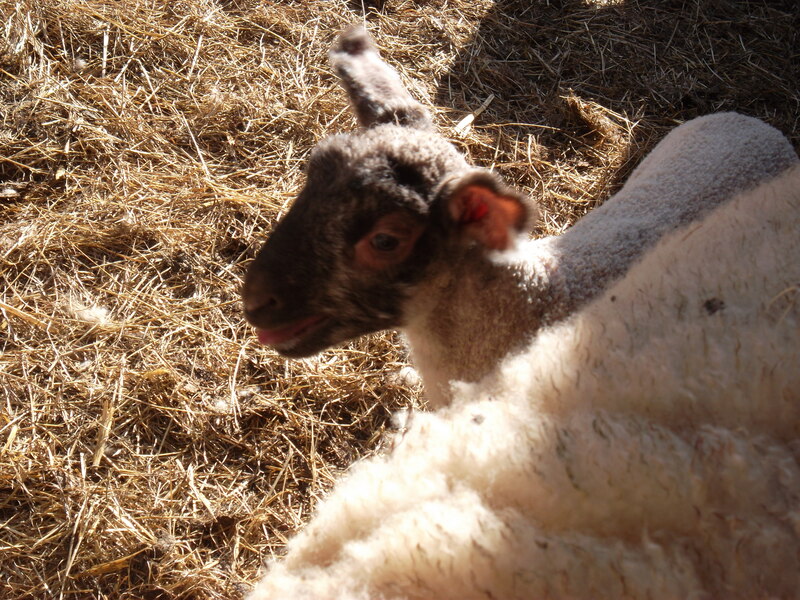 All our lambs are doing well, most of them are out in the field enjoying the Spring sunshine. Two of the triplets born the other day are being supplemented with a bottle and will hopefully be out and about soon too. This entry was posted in sheep by abbrookfarm. Bookmark the permalink.